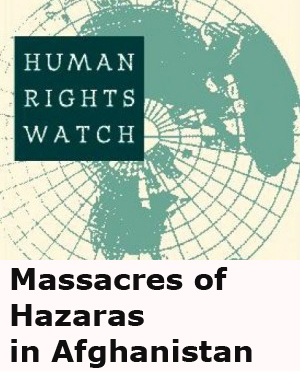 In Amnesty International’s view, countries that support warring factions must share responsibility with the armed groups in Afghanistan for the latest massacre reported from Mazar-e Sharif in which some 70 civilians, including women and children, were taken prisoner, then maimed and killed. This is yet another chapter in the sad history of a civilian population which has for nearly two decades remained hostage to the military ambitions of warring factions with total disregard for the human rights of the Afghan people. How much longer shall this deliberate human catastrophe continue? When will the international community accept that enough is enough, that Afghan civilians have a right to live in an environment that allows them to enjoy their human rights with dignity and with respect? Amnesty International has recently received testimonies from the survivors of a massacre in the Afghan village of Qezelabad, near the northern city of Mazar-e Sharif. These testimonies reveal that about 70 civilians, including women and children were deliberately and arbitrarily killed on 14 September by armed Taleban guards as they were retreating from some of the positions they had captured in the area. 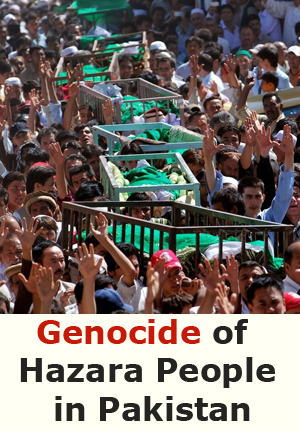 All of the victims reportedly belonged to the Hazara minority which in recent years has frequently been targeted by the Taleban. Eyewitnesses report that among the victims was a boy of about 8 who was killed and subsequently decapitated. They say other victims had their eyes gouged out with bayonets. Two boys of about 12 were reportedly held by the guards who picked up stones and broke the children’s arms and hands in different places. The two boys were then shot dead. A Taleban official, Khairullah Khairkha, is quoted in the international media as saying: “It is a fact that our enemies had entrenched themselves in this village and were shooting at our forces and killing them. We were forced to respond by shelling the village which, as a result, some people may have been killed. 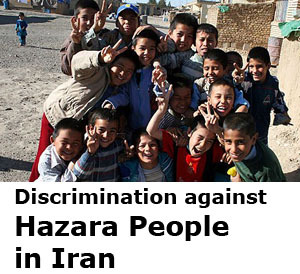 But it is not true that the Taleban entered the village and killed innocent people. This did not happen and, God willing, it will not happen in the future”. 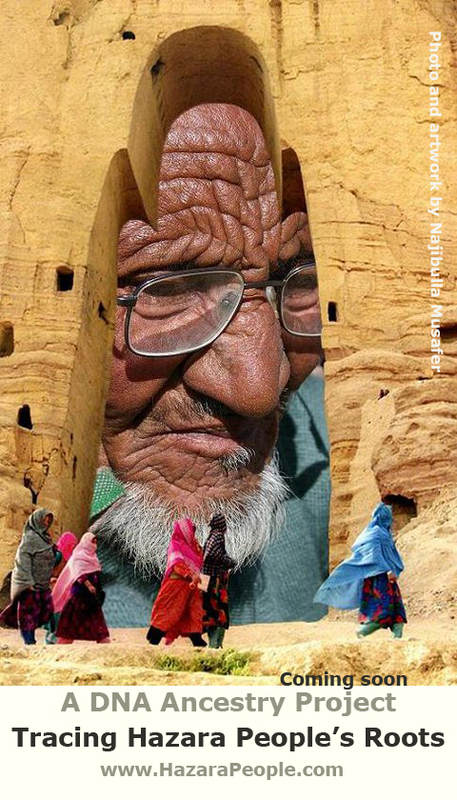 The circumstances of the conflict in Afghanistan make information on human rights abuses difficult to obtain and verify. However, surviving witnesses report that when the Taleban entered the village, opposition fighters as well as young men ran away leaving women, children and older men behind. Taleban guards asked them to surrender their weapons, but they had none to surrender. Around 70 villagers were then taken prisoner. Most had their hands and arms broken deliberately before being shot. Others were stabbed repeatedly with knives or bayonets. Some had the skin peeled off their head. Thirteen people were killed from just one family. Some of the victims were reportedly killed as they tried to run away. As the conflict in Afghanistan enters a new phase, with intensive military engagements between Taleban and anti-Taleban forces in the struggle for the control of the north of the country, Amnesty International reiterates its call to the Taleban and other warring factions to abide strictly by minimum standards of humane behaviour which forbid the torture, hostage-taking and deliberate or indiscriminate killing of civilians. It urges Taleban leaders to prevent their fighters from carrying out such atrocities. Massacres of civilians have occurred in the past but rarely on this scale. Many massacres have remained unreported in the midst of continued fighting but the evidence usually comes to light when mass graves are uncovered. Several such mass graves from the years of occupation of the country by the Soviet forces were discovered in Herat and Kabul after the collapse of former President Najibullah’s government in April 1992, but the trend did not stop there. Several other new mass graves of civilians were uncovered in March and April 1995 after fierce battles between the Taleban and their opponents in and around Kabul . In the past five years, more than 25,000 people have been killed in deliberate or indiscriminate attacks against civilians areas, but the number is growing. At times, the killings occur on a daily basis. Usually, they follow severe battles over the control of a piece of territory. As the fighting continues, civilians increasingly become the victims of indiscriminate attacks. Air raids on residential areas have been carried out by all sides to the conflict, but continued fighting makes it difficult to establish the number of civilians – including children – killed or injured. Heavy rocket attacks on Kabul apparently by the anti-Taleban alliance between 11 and 13 September killed several civilians, including a ten-year-old girl. The rockets, apparently aimed at Taleban military positions, overshot the perimeter and struck a residential area. None of these rockets were reported to have hit military targets. On 12 September, one farmer was killed and another injured when a rocket hit the field in which they were working. After another rocket attack on 13 September, the corpse of a 10-year-old girl was dragged from the scene by screaming residents. Two women were also injured in the attack. Residents reported that houses across Kabul shook with the thunder of the blast reminding them of the past bombings of the city by various factions including the Hezb-e Islami and the Taleban. Amnesty International urges all factions including the anti-Taleban alliance to refrain from rocket attacks that could lead to deliberate and indiscriminate killings in civilian areas. Women continue to be the main victims of abuses. In areas controlled by the anti-Taleban forces, they are at risk of being raped by armed Mujahideen guards. The Taleban are believed to have established a degree of security in the areas they control but they have imposed severe repressive measures against women banning them from going to work or going out without being accompanied by a close male relative. Aid agencies have found it difficult to reach women in need of food and other assistance because the Taleban do not allow contact between them and male aid workers while female workers are already barred from working with aid agencies. Afghanistan has yet again been allowed to become a battlefield between countries of the region protecting their strategic, ideological, and economic interests in Central Asia. Through their political and material support for the warring factions, they in effect have a direct role in the continuation of human rights abuses there. The also have the capacity to influence their client armed groups and moderate their behaviour. But as ever, the civilians of Afghanistan – most in need of protection and support – find little comfort from the international community. All the countries that support warring factions must accept responsibility for the human rights abuses that Afghan civilians endure. Pakistan, Saudi Arabia and the United States are believed to be supporting the Taleban; Iran, Russia and Central Asian states are believed to be supporting the anti-Taleban alliance. What about the civilians, who is going to support them? 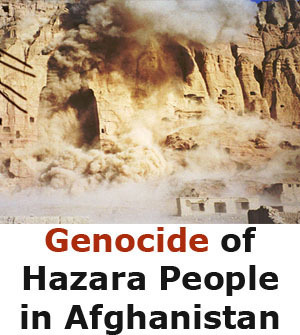 The international community continues to allow Afghan civilians to be killed in deliberate or indiscriminate bomb attacks against their homes in cities and villages, to be made homeless, to be imprisoned in large numbers for reasons of ethnicity, to be ill-treated and tortured or killed in custody, to be deprived of their fundamental rights for reasons of gender, and to be massacred and mutilated in celebration of a victory or in retaliation for a defeat. Amnesty International takes no position on the recognition of different groups, but urges that groups seeking recognition should demonstrate the acceptance of international obligations and responsibilities that accompany such recognition. 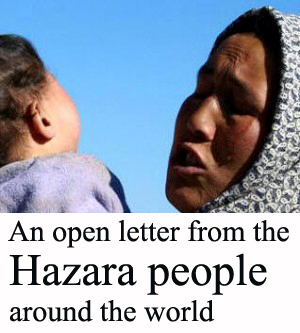 You could write to your own government and express concern about the Qezelabad massacre and other human rights abuses in Afghanistan, urging them to raise these concerns with the Taleban officials and other warring factions with whom they may have contact. You could write to the embassies of Pakistan, Saudi Arabia and United Arab Emirates (the three countries that have recognized the Taleban as a government) urging them to raise your concern with the Taleban about the massacre and other human rights abuses. You could also write to the embassies of Iran and Russia as well as to your own government urging them to raise your concerns about the renewed rocket attacks on Kabul with the anti-Taleban alliance. In all cases, you could state that the international community has a responsibility to bring the human rights catastrophe in Afghanistan to an end.